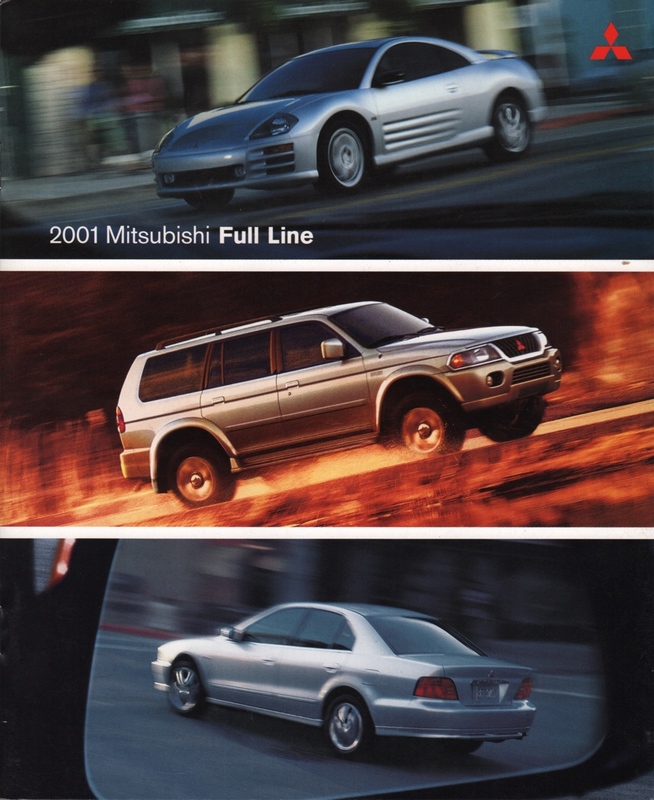 Sales brochure for the 2001 Mitsubishi showing the full line of cars and SUVs. Models include the Eclipse, Eclipse Spyder, Montero, Montero Sport, Diamante, Galant, and Mirage. Brochures are presented for research use only. Company marks, emblems, and designs are trademarks and/or service marks of Mitsubishi.